The Himalayan region is a known hot spot of crop diversity. Traditional varieties (usually called primitive cultivars or landraces), having withstood the rigors of time (including harsh climatic conditions as well as attacks of insects, pests and diseases), can still be found in crop fields in rural parts of Indian Central Himalaya (ICH). These landraces harbor many desired traits from which, for example, varieties that are tolerant/resistant to abiotic/biotic stresses could be developed. In addition to the above benefits, landraces provide a basis for food security and a more varied and interesting diet. Some landraces are also known to be of medicinal value. These, along with some lesser known hill crops, are often referred to by different names such as under exploited crops, crops for marginal lands, poor person crops, and neglected mountain crops. 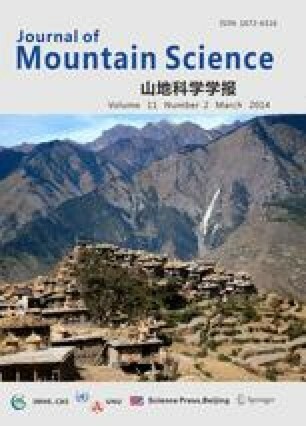 The Himalayan region continues to be a reservoir of a large number of landraces and cultivars whose economic and ecological potential is yet to be fully understood and/or exploited. Indians have had a history of rice cultivation since ancient times. Farmers, including tribals inhabiting the IHR, still cultivate a plethora of landraces of rice and thus directly contribute towards on-farm conservation of valuable germplasm and help in the preservation of crop diversity. The present paper looks at the on-farm conservation of rice germplasm, which is still practised in the Kumaun region of ICH.